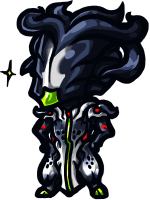 Tenno Clock discusses topics found on the Warframe Community Forum. We find topics of best interest and try to shed some light on the communities reaction to these topics. 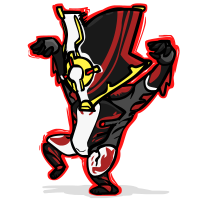 Some of these topics include (but not limited to) the re-work of Stalker, the open letter to DE, Damage 2.0, The quick revert back from the changed Stamina system and many more. 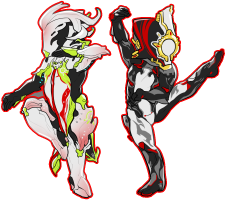 Additionally we also like to shed light on work done by the community; like Yuikami's Warframe comics or DOXOlove's Excalibur Statue. Lastly, if you feel that you would like us to touch base on some topics please don't hesitate to link the topic in a reply. Vote for your favourite emblem of the week. 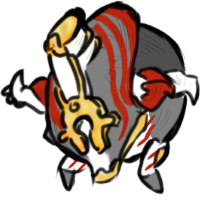 A random winner will be selected out of the voters who voted for the fan favourite emblem. Voting multiple times results in disqualification. That's it! 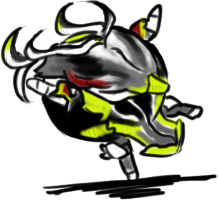 We cannot guarantee a new plat give away each week because we have to prove we used the last one but we do hope to do them frequently. 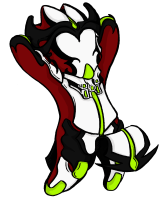 Each episode Loz and I have a different set of Chibis with the Tenno Clock logo, these chibis come to us from the community and we love each and every one. 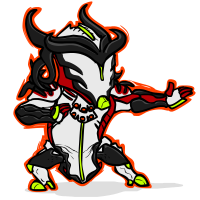 Each set of Chibis will always make an appearance on an episode of Tenno Clock and we always love the appreciation that comes from the community for the random waffling we do. Coming back once I've worked out a way to magically dynamically generate a list of episodes.